The community is buzzing about an exciting new fashion show in New York coming up the first week of December, LAOS IN NYC: FASHION MEETS PHILANTHROPY with a dazzling array of incredible entrepreneurs giving back to the community at large. 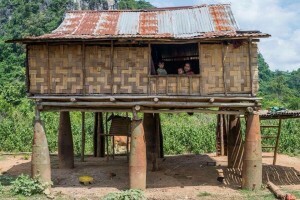 The event is a fundraiser for the international non-profit organization Legacies of War, which works to address issues such as unexploded bombs from the Vietnam War era in Laos. A look at the schedule suggests that it will be a star-studded event drawing well-known guests in the community including Fashion Designer and entrepreneur Ari South, aka Andy South, a finalist for Project Runway Season 8 and contestant for All Star Season 3. 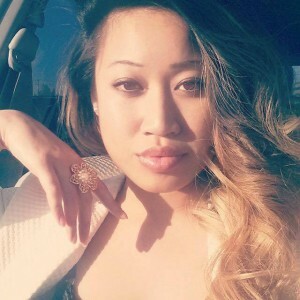 I expect we'll be amazed by vocalist Lina Luangrath who will be sure to uplift your soul and your foot off the floor. An aspiring singer, she is currently working on original music that fuses soul and Laotian folk songs. The event is being held in the famous Flatiron district, a district well-regarded as the home to some of the biggest draws in the city, thanks to the youthful energy of ambitious entrepreneurs and a great array of boutiques. The evening will feature live entertainment, fashion, and Lao-inspired cuisine from the acclaimed Khe-Yo restaurant courtesy of Chef Phet Schwader. The emcee for the evening is the popular writer Catzie Vilayphonh, fresh from her recent Lao American arts extravaganza “Laos In The House” she exhibited in Philadelphia this Spring at the Asian Arts Alliance. The timing of December 5th is historically significant for the Lao community because this month marks the end of the Lao civil war and the beginning of the international Lao diaspora now in its 40th year. Channapha Khamvongsa, the executive director of Legacies of War has taken a prominent stand in raising awareness of the lingering effects of unexploded ordnance in Laos, and was featured in the New York Times this year for her work. This year also marks the fifth anniversary of the United Nations Convention on Cluster Munitions, which bans the manufacture, sale, use and stockpiling of cluster bombs. One of the big collaborators with Legacies of War for this evening is Monica Phromsavanh, the CEO & Co-Founder of Modabox. ModaBox is a fashion company that specializes in delivering a personalized, convenient shopping experience for busy women. They provide one-on-one personal stylist and deliver beautiful boxes packed with fully customized outfits based on your registered profile. Monica worked her way through retail, eventually quitting a 5th Avenue job to start her own business that served both the NYC elite but also providing luxury service to women everywhere, leveraging a network of industry-trained stylists who shared her vision. The other big fashion collaborator for the evening is ARTICLE 22, founded by Elizabeth Suda and Camille Hautefort. They’ve been recognized for pioneering the transformation of war scrap into handmade luxury jewelry with the help of Laotian artisans. They’ve cultivated the community talents to promote entrepreneurship and community development. Each piece of jewelry they sell helps to de-mine 3 square meters of land contaminated by unexploded bombs. Foodies will find much to rave about with a chance to try the acclaimed dishes of Executive Chef Soulayphet Schwader. 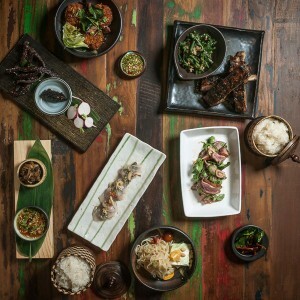 His Khe-Yo restaurant in Tribeca has received amazing reviews with a menu designed for sharing and exploring the variety of Lao-inspired cuisine. Will we see his laab pa (fish salad) embedded with radishes? What about tum mak hoong (papaya salad) in padaek (fermented fish sauce), which he calls "the funk"? To many of us Lao folks, padaek is a familiar taste, but to a handful, the smell might be overpowering. I, for one, welcome the taste that padaek brings, and its intense flavor will make your taste bud explode. Perhaps we’ll have a chance to sample his Ping Sai Ua Kai (Lemongrass Chicken Sausage) with kaffir lime leaves and other herbs, or maybe he'll serve grilled spareribs with sticky rice. Let's not stop there with grilled spareribs. Already you can hear guests asking what everyone’s going to be wearing. Will it be Lao casual or dressed to the 9s? Will we see traditional formal wear or avant grade designs in the audience as well as on the runway? From a production of fashion at a mass-level, what would it mean for our community to share our heritage fusing Lao motifs design and textiles with other cultures, especially in an effort to build an understanding of the Lao community. "Who are we, what are we bringing to the table?" The organizers have billed it as an event featuring models who will “walk the runway with signature MODABOX styling, blending contemporary designers and traditional Laotian pieces, finished with ARTICLE22 Peacebomb Jewelry made by Laotian artisans from bomb scrap metal.” The evening will also feature a sponsored open bar and a Southeast Asian-themed holiday market and auction. Will we see Lao traditional textiles or a fashion/fusion model especially in New York City? We will all be interested in seeing what choices rise to the front. When I was spending time in New York there were extensive talk of Be and D, a designer of handbags designed and co-founded by Lao American Be Inthavong in the garment district of Manhattan. He later ventured out on his own and launched a women's luxury handbag line under his name. Going back to his native root of Laos, where he takes “rare Laotian weaving technique to take finely cut micro-strips of leather and handlooming them into silk looms.” His bags can be found at select high-end dept store in the US and Middle East market. Traditional Lao fashion has been noted for its pride in intricate hand-woven, locally grown materials, including cotton, hemp and silk. Laos has a rich diversity of cultures such as the Khmu, Lue, Iu Mien, Tai Dam, and Hmong, and many of their traditional costumes incorporate distinctive patterns and symbols that demonstrate individual imagination, skill and ingenuity, but also a sense of their heritage, with patterns inspired by myth, nature, and history. Tiao (Prince) David Nithakhong Somsanith's work exhibits just that with intricate shawls, skirts, blouses and collar pieces using gold silk thread and all hand embroidery. Each piece has a story behind it that convene our ancestor's heritage and tradition. Over the last century, Lao fashion has also been influenced by visitors from Europe and America, even Russia, China, India, and Japan, to name a few. Over the last 20 years in the US, Lao have been steadily incorporating all of these influences into their fashion. Last year, the first Lao Fashion Week was held at the Settha Palace Hotel in Laos with the support of the French Ambassador to Laos and other businesses. The aim was to show the international fashion community the capacity of Lao fashion and design, and to develop the brand names of Laos. We’ve seen the spotlight shine on designers like Chloe Dao, Kevin Vong, Nary Manivong and Somsack Sikhounmuong, the former head of design at Madewell, who recently took over as head of women's design for the J.Crew brand. So what will it mean for us to convene at a show like this, 40 years since we began arriving to the US? Will this become an annual see and be seen event for the community? The community is overjoyed that so many entrepreneurs are coming together to share their vision, but also to make the world a better place. This is hopefully the start to a beautiful tradition! Featured Image by Tar Bannok.